Success as BCH Cheetah project reaches 103% of goal! 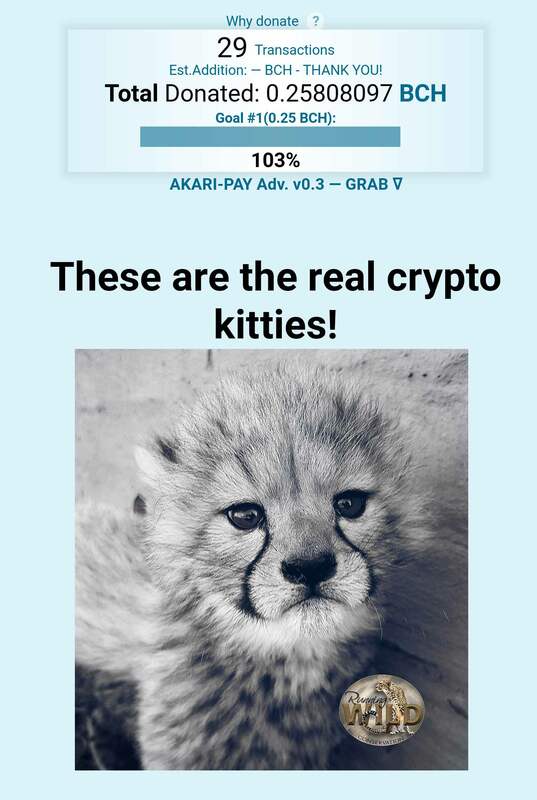 The BCH Cheetah Fundraiser, as featured on the fundraising highlighting site http://BitFund.cash, reached their goal, and over, to 103%!!! This is a big success and all thanks to many generous Bitcoin Cash users chipping in small amounts from around the world adding up to make a big difference! This will go along way in South Africa and for the endangered animals, and will genuinely help. Thanks to all that donated and for https://www.yours.org/@stoplimit for taking the initiative to launch the project. Congrats!